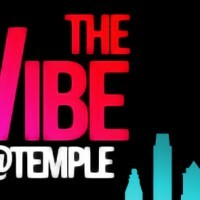 Created by journalism student Nydja Hood, The Vibe is Temple University’s first hip-hop culture and music television show, which provides a platform to artists at Temple and beyond. On The Vibe, students discuss what is trending in popular culture, and rappers, poets, and singers are featured. Follow the Vibe on Instagram, Twitter, and Facebook. Season 3 of The Vibe starts off with hosts Nydja Hood, Breea Gillette, and Chrys “No I” Smith discussing music streaming and whether or not a record label is necessary for success. Later, see a rap battle, spoken word poetry by Christinna Stephens, and a performance by musical guest, Maya Simone.